Microwave canning will occasionally crop up on the Internet as something “new” and “revolutionary”, but it is not. This “revolution” is ancient history: the method has been thoroughly discredited. The book, So Easy to Preserve, says, “The microwave… cannot be used instead of a boiling water bath or pressure canner for processing.”  Andress, Elizabeth L. and Judy A. Harrison. So Easy to Preserve. University of Georgia Cooperative Extension. Bulletin 989. Sixth Edition. 2014. Page 15. 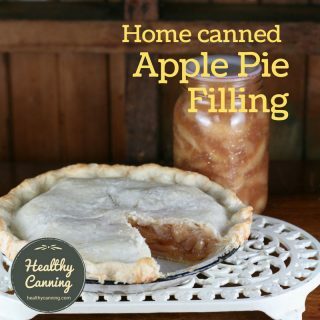 You may use a microwave as part of food prep to get things ready for canning. Microwave ovens are notorious for heating food unevenly. That’s why manufacturers introduced carousels, in an effort to help. Still, even with that, any good cook knows that when making sauces, casseroles, etc in a microwave you still have to stop and stir the food several times for proper even cooking. If despite all the warnings from experts (see below), you microwave can something, and give it to someone, and they get very sick, what kind of liability does that open you to? 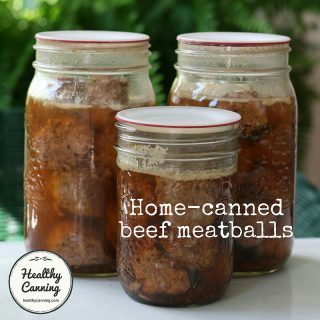 For that reason, you’d never be able to gift or contribute without worry any of your homemade canned creations. A popular book on the topic of microwave canning is “5-minute microwave canning” by Isabel Webb. 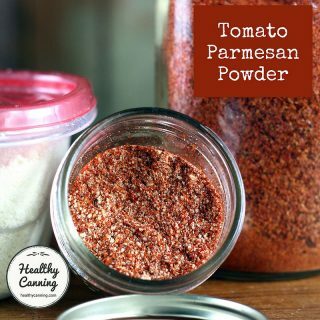 remove from microwave with oven mitts, remove flat metal lid, debubble, wipe jars, top up jars with liquid if needed, replace flat metal lid and secure that lid firmly with either a screw band canning ring or clips until the lid seals onto the jar. They say just make sure as well the jars as a few inches away from each other or you could get arcing amongst the jars, too. 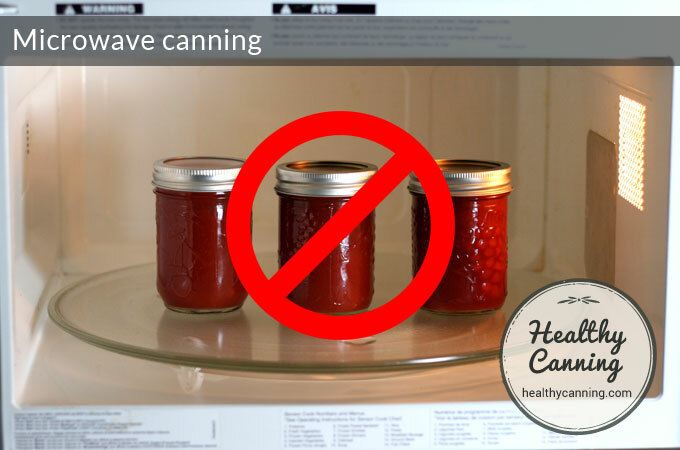 Different microwave ovens have different heating properties and it makes it difficult to set standards for controlling internal temperatures of any canned product.”  Accessed June 2015 at https://msue.anr.msu.edu/news/downright_unsafe_canning_methods. Quite early in the marketing of microwave ovens to the general public, one maker touted his product as able to can fruits. In very short order the manufacturer discontinued such a claim for his oven. Now all responsible makers of microwave ovens warn against using them for canning.”  Hertzberg, Ruth; Greene, Janet; Vaughan, Beatrice (2010-05-25). Putting Food By: Fifth Edition (p. 61). Penguin Publishing Group. Kindle Edition. Here is 1989 article recommending against microwave canning (click to enlarge to read). There are have been a few devices that people have tried using for pressure canning in a microwave. One such device was the Micro-Dome Food Preserver. However, pressure canning in a microwave has been deemed to produce unsafe results. They [microwave pressure cookers] are safe to use for simple cooking of foods. However, they should not be used for canning low acid foods because the actual pressure inside the cooker cannot be monitored. There is, therefore, the danger of underprocessing. None of the above is to say that you can’t use the microwave as part of the prep for a canning recipe for some chores. If a recipe calls for a bouquet garni of pickling spice to be boiled in vinegar for 5 minutes, that could certainly be done in a glass jug in the microwave. The authors of ‘So Easy to Preserve’ say, “… the microwave can be used to heat canning and pickling liquids….”  Andress, Elizabeth L. and Judy A. Harrison. So Easy to Preserve. University of Georgia Cooperative Extension. Bulletin 989. Sixth Edition. 2014. Page 16. Some recipes illustrating how a microwave can be used to cook some jams, pickles and relishes prior to canning are in: Preserving food with help from your microwave. Oregon State University Extension Service. SP 50-538 Reprinted March 2013. Microwave-oven blanching. Each make or model comes with particular directions for its use, so do read the directions that came with your oven. A rule of thumb would be, however: (1) of course use only an appropriate vessel to hold the food in the oven; (2) blanch only in 1-pound (500 g) batches, with very little water; (3) rearrange the food once during the blanching process; and (4) depending on the density of the food’s tissues, blanch for 2½ to 6 minutes. If the food is to be frozen, dunk it immediately in ice water to stop the cooking action and to chill it; pat it dry; package and freeze.”  Hertzberg, Ruth; Greene, Janet; Vaughan, Beatrice (2010-05-25). Putting Food By: Fifth Edition (pp. 36-37). Penguin Publishing Group. Kindle Edition. The patent and patent diagram for it is online. The new device is made of a special plastic invented by General Electric that can withstand the necessary temperatures and pressures of canning. 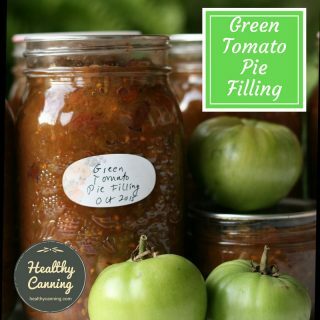 The unit is designed for preserving food in a wide-mouth pint or half-pint canning jar. (Narrow-mouth jars are too tall: a quart-size model is scheduled to be introduced next spring.) The cook screws on the jar lid and places the jar in the canner. Water is added around the jar until the unit is filled. The lid of the canner is twisted on tightly. Then a metal temperature regulator is set on top, with a setting for 5 pounds of pressure for high-acid foods such as fruits and tomatoes, and 30 pounds [Ed: sic] of pressure for low-acid foods such as meats and vegetables. (The metal on the temperature regular and canning lids is shielded from the sides of the oven by the plastic device and does not cause arcing. A plastic whistle cap goes over the temperature regulator. The cook sets the microwave oven for 10 minutes at high power. Usually within six to eight minutes, the Micro-Dome begins whistling loudly, indicating that the proper pressure has been reached. Only one jar can be processed at a time, but Micro-Dome salesmen recommend buying two units, at a suggested price of $49.95 each, so one unit can be heating and the other cooling in a continuous cycle, turning out sealed jars every six to eight minutes. Preliminary research on an early model of the Micro-Dome showed serious bacteriological problems, and research on the current model is still under way. The answers to safety questions are not in yet. The early version of the Micro-Dome was used by extension food technologists at the University of California at Davis on and off from 1980 to 1985. The scientists checked how thoroughly and evenly the food was heated in the canning jar. They found that heat penetration was more than adequate for loose foods such as peas in brine, but for dense, compact foods such as tuna, cold spots remained. Then the researchers inoculated jars of food with bacteria and processed them in the early Micro-Dome. These products still developed bacterial spoilage. The organisms had not been destroyed. New research is being conducted on the current model of the Micro-Dome by an independent laboratory in California with vast experience in canning technology, however the studies are not yet finished.”  Weir, Nancy. More testing needed on microwave canner. Hendersonville, North Carolina: The Times News. 24 August 1988. In cooperation with Micro-Dome of San Ramon, Calif., the U.S. Consumer Product Safety Commission (CPSC) is warning consumers of certain safety hazards associated with the use of the ‘Micro-Dome Food Preserver’ manufactured by Micro-Dome and sold and distributed to consumers after August 1987. Consumers are urged to destroy all food preserved using a Micro-Dome Food Preserver, and to call 1-806-736-2320 for instructions on how to receive a $50 rebate for returning the preserver … Generally priced at $50, approximately 18,000 were sold…. CPSC has been informed that the top of the plastic container may blow off in the microwave if the vent stem or safety release becomes plugged. The pressurized plastic container may also explode, after removal from the microwave or if the container is hit or dropped. The container may crack and/or develop lines (called crazing) which could increase the explosion risk. Explosion of the pressurized container containing hot water and food could cause severe injuries such as blindness and bums from flying fragments and liquids. Twenty nine incidents involving cracking and/or crazing of the container, eight incidents of the top blowing off and four incidents of the vent being plugged without the blow plug releasing have been reported. One injury involved a user who sustained minor burns when the container lid blew off. CPSC recommends that consumers not use the Micro-Dome Food Preserver. It should be returned to the company for rebate or destroyed and disposed of in such a manner that it cannot be used in the future. There is also concern about food poisoning in certain foods prepared using the Micro-Dome Microwave Food Preserver. 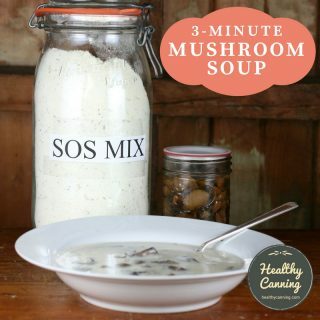 There have been no reports of poisoning but there is concern that the product and its accompanying recipe and instruction booklet do not ensure adequately the safety of certain canned foods. [ref]Micro-Dome food preserver recalled. In: Chaff and Chatter column. Carroll County Comet. Wednesday, 18 December 1991. Page 6A. You can still find Micro-Domes being sold second-hand on places such as eBay, etc. Do be aware that these devices were subject to a safety recall decades ago. Preserving Food with Help from Your Microwave. Oregon State Extension. SP 50-538. March 2013. 3. ↑ Andress, Elizabeth L. and Judy A. Harrison. So Easy to Preserve. University of Georgia Cooperative Extension. Bulletin 989. Sixth Edition. 2014. Page 15. 8. 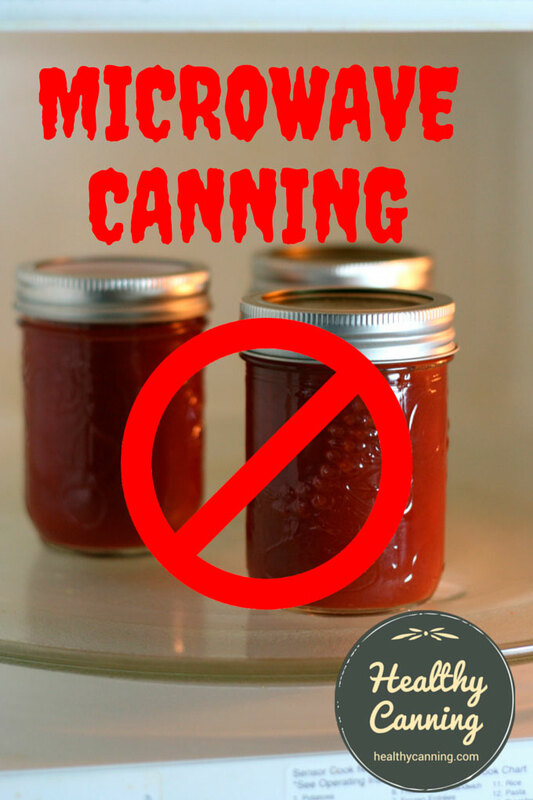 ↑ Accessed June 2015 at https://msue.anr.msu.edu/news/downright_unsafe_canning_methods. 9. ↑ Hertzberg, Ruth; Greene, Janet; Vaughan, Beatrice (2010-05-25). Putting Food By: Fifth Edition (p. 61). Penguin Publishing Group. Kindle Edition. The authors of ‘So Easy to Preserve’ say, “… the microwave can be used to heat canning and pickling liquids….” [ref] Andress, Elizabeth L. and Judy A. Harrison. So Easy to Preserve. University of Georgia Cooperative Extension. Bulletin 989. Sixth Edition. 2014. Page 16. 15. ↑ Andress, Elizabeth L. and Judy A. Harrison. So Easy to Preserve. University of Georgia Cooperative Extension. Bulletin 989. Sixth Edition. 2014. Page 16. Microwave-oven blanching. Each make or model comes with particular directions for its use, so do read the directions that came with your oven. A rule of thumb would be, however: (1) of course use only an appropriate vessel to hold the food in the oven; (2) blanch only in 1-pound (500 g) batches, with very little water; (3) rearrange the food once during the blanching process; and (4) depending on the density of the food’s tissues, blanch for 2½ to 6 minutes. If the food is to be frozen, dunk it immediately in ice water to stop the cooking action and to chill it; pat it dry; package and freeze.” [ref] Hertzberg, Ruth; Greene, Janet; Vaughan, Beatrice (2010-05-25). Putting Food By: Fifth Edition (pp. 36-37). Penguin Publishing Group. Kindle Edition. 17. ↑ Hertzberg, Ruth; Greene, Janet; Vaughan, Beatrice (2010-05-25). Putting Food By: Fifth Edition (pp. 36-37). Penguin Publishing Group. Kindle Edition. New research is being conducted on the current model of the Micro-Dome by an independent laboratory in California with vast experience in canning technology, however the studies are not yet finished.” [ref] Weir, Nancy. More testing needed on microwave canner. Hendersonville, North Carolina: The Times News. 24 August 1988. 20. ↑ Weir, Nancy. More testing needed on microwave canner. Hendersonville, North Carolina: The Times News. 24 August 1988. Is there a more modern update to these warnings? My SHARP convection microwave boils water as well as a stove burner. I have replaced the stove with it and canned cherries & crab apples for several years,4to 5. My leftover last year jars are still vacuumed sealed on the counter. My worry is a tree full of pears, not acidic like the above. 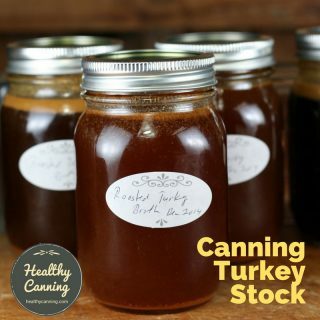 Healthy Canning will always present you with the latest research out there. The evidence-based research that was done refuting oven canning as unsafe was pretty solid — the heat penetration and sterilization was grossly inadequate in meeting safety standards that would enable it to be recommended as always working for everyone in every instance. A seal is not a sign that the jar contents is necessarily safe. Microwaves however make great prep tools, for heating up canning liquids, etc.